After nearly 17 years leading the University of Nebraska at Omaha (UNO) College of Business Administration, Louis Pol, the college’s John Becker Dean, has announced he will be stepping away from the position in 2019. Pol will continue as dean until a successor is identified following a national search. Pol first came to UNO in 1984 as an associate professor in the Department of Marketing. After three decades of campus growth and change, he said he is excited to see what the coming years hold for his college. "Bonnie Raitt has a fine song with an important message, 'Never Make Your Move Too Soon.' On the opposite end, no one should stay too long," Pol said. "It’s the right time to end my time as dean. I am incredibly proud of everything our students, faculty, staff, alumni and many community partners have accomplished over the last three decades and I know the best is yet to come." Plans for a national search are under development and will be shared as they are finalized. UNO will retain a search firm and stand up a search committee with broad campus and community representation to review applicants, conduct interviews and make a recommendation to the senior vice chancellor for Academic Affairs. Chancellor Jeffrey P. Gold, M.D., expressed gratitude for Pol’s service to the university, crediting his focus on students and collaborative spirit as key drivers of his college’s success. "Whether it is growth in academic programs, Mammel Hall and its forthcoming addition, or the thousands of graduates who are now contributing to Omaha and Nebraska’s economies, Lou's impact will be felt for decades to come," Dr. Gold said. "It takes the right person to guide the education of our next generation of business leaders and entrepreneurs. We will take every step we can to ensure this is a deliberative and inclusive search." Pol has led the College of Business Administration since he was named interim dean in August 2003. He officially became dean of the college in February 2004. 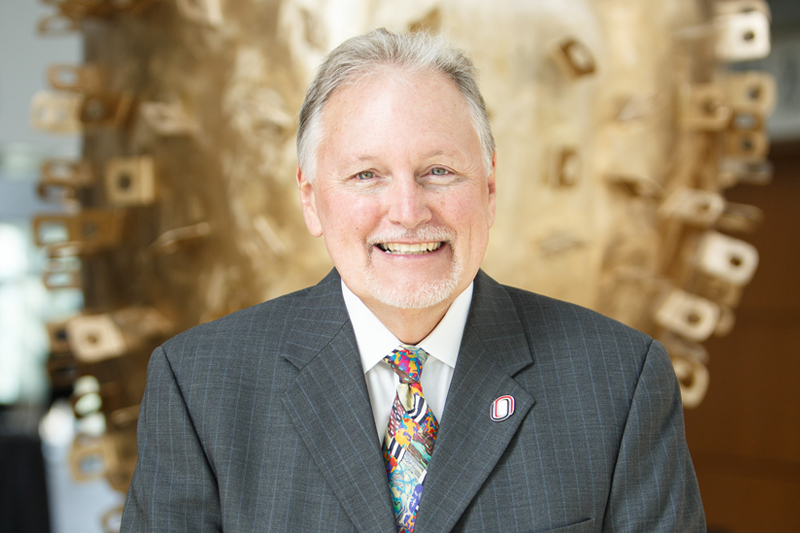 During his time at UNO, he also served as a professor in the Department of Marketing, chair of the department, Peter Kiewit Distinguished Professor and as associate dean. Pol has also held a courtesy appointment in the University of Nebraska Medical Center’s College of Public Health since 1997. Pol plans to spend more time writing and painting and is considering returning to teaching as a part-time faculty member in the Department of Marketing. He is also looking forward to spending more time with his extended family.